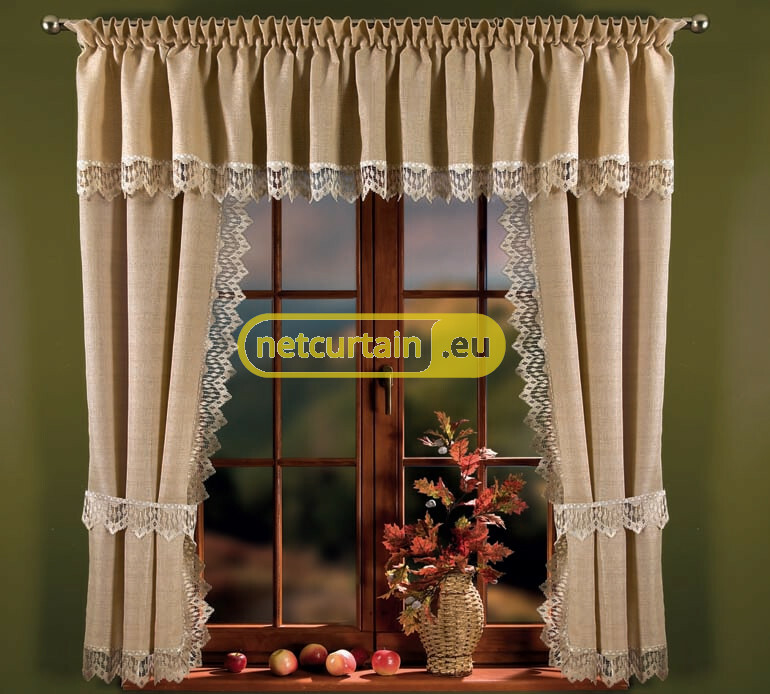 Beautiful set of curtains and valance in laxen colour, includes tiebacks. Usable width 150 - 220 cm. 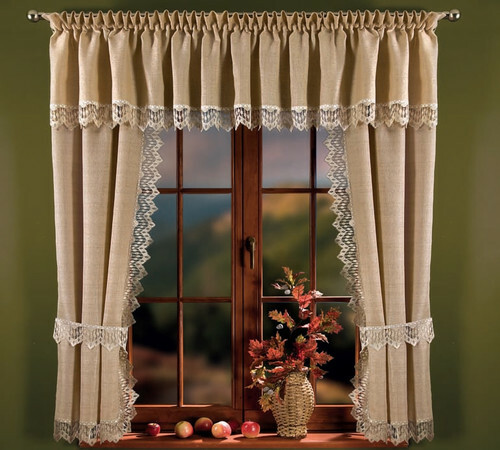 Jacquard- lacey living room set of net curtains.